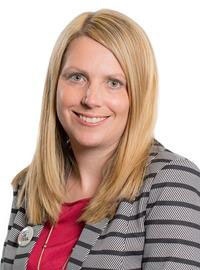 The Environment Minister, Hannah Blythyn, will today announce new measures to build on Wales’ success story and further improve recycling rates. The Minister will announce more than £50m capital funding over the next three years will be provided to support service changes and provide new infrastructure in Wales. A new £500,000 behaviour change and enforcement campaign to raise public awareness of what households should recycle will get underway, working in partnership with Local Authorities and WRAP. Recent studies have shown more than half of waste put into black bins in Wales could be recycled. The Minister will confirm that local authorities’ recycling grants will not be cut to fund other council services, while an extra £15.5m will be used to improve collections in the Vale of Glamorgan, Pembrokeshire and Denbighshire. The Welsh Government also plans to consult on new statutory guidance for local authorities. New regulations are also planned to require businesses to separate their waste in the way households already do. The Welsh Government and the UK government will consult on a Deposit Return Scheme and Extended Producer Responsibility before Christmas. Welsh Ministers are also in discussions with the UK Government on possible taxation measures to tackle plastic waste, including a potential tax on single-use plastics. The latest annual figures showed that Wales’ municipal recycling rate is now 63%, against a national target of 58%. Wales is also first in the UK, second in Europe and third in the world for household recycling. “Recycling is a Welsh success story and something we should be proud of. People in Wales have embraced the need to recycle and the Welsh Government and our partners have supported this through innovative policies, financial support and education campaigns. “But we want to do more. Improving recycling rates again will require further support and more concerted and intensive interventions. That is why I am today announcing new measures to build on our success to date. Over the next three years we are providing more than £50m of capital to provide new infrastructure and ultimately help realise our ambition. We’re also working with local government to increase their ability to recycle items like mattresses, nappies, wood and textiles.